This much loved Bunny, is the mother of Peter and she goes by the name Mrs Rabbit, a 16cm tall soft toy made by the American Company - Gund. 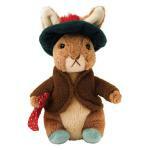 Mrs Rabbit is sewn using a super-soft, thread textured plush, with velvet touch accents. She wears a long sleeved cotton dress with apron and a broderie anglais edged shawl, whilst remaining invitingly snuggly, due to beans in her lower half. Hand wash only. This product conplies with EN17 and U. S. Safety Standard ASTM F963. 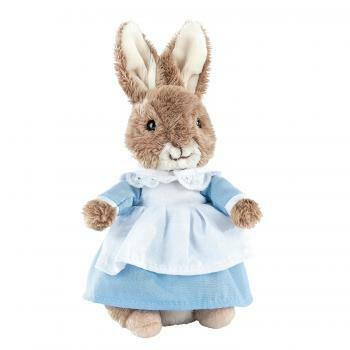 Feedback for Gund A27641 Beatrix Potter Mrs Rabbit Small has been compiled from 0 reviews.